Nothing is more alluring than a traditional baju kurung for Eid. The malay traditional costume has evolved so much throughout the years. Young girls these days much prefer baju kebaya to baju kurung because the former shows off their curves. I appreciate the beauty of the baju kebaya although I was never a fan of it. The simplicity of baju kurung gets me all the time. I am all about simplicity in my everyday wear so it is only natural that I opt for the classic beauty. 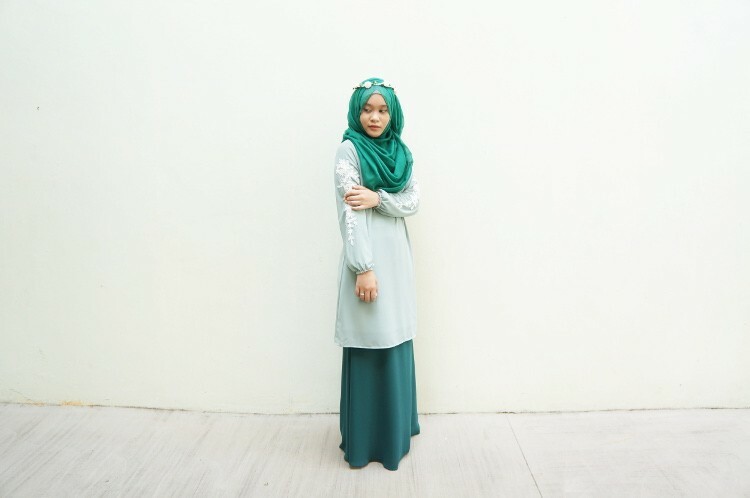 A little tip- Don't over accessorize if you are going to wear the baju kurung. Pair the look with simple accessories. If you are going for a very traditional look, wear yours with the dokoh. Armed with perfect hair and makeup, trust me, in a sea of glamorous people, you will stand out. So when the team from Poplook asked if I would like to choose an item from their Raya 2014 collection, I knew I wanted a classic baju kurung. Lisa was my obvious choice. Classic and traditional silhouette, with dainty laces on both sleeves, it is a beauty on its on. Poplook's Raya 2014 comes in four very unique collections. The first two collections, Garden and Lace has been released. Here are the beautiful pieces from the Lace collection. So you see, all the above pieces are dreamy beyond words. Ramadhan is fast approaching, if you have not gotten your Eid outfits yet and you don't want to be with the crowd, you might want to give Poplook a chance this year. The Garden and Jewel collection are up on Poplook's website. Only one collection is left unveiled. I can't wait to see that one! Poplook, please release them soon!